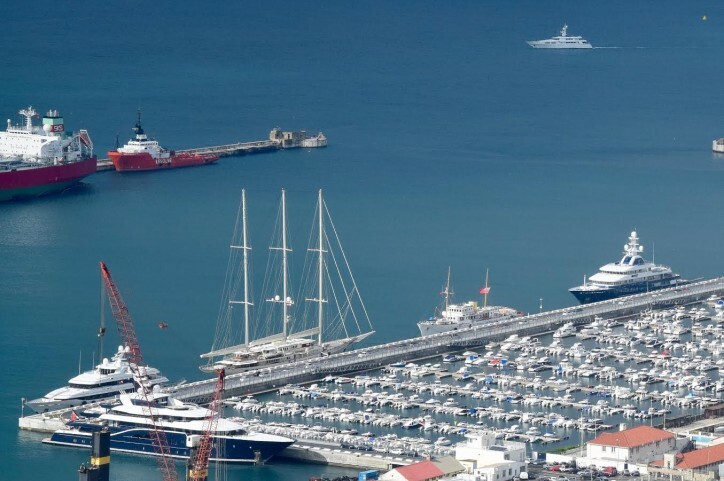 This weekend saw a total of twenty superyachts calling in at Gibraltar as the flow of these prestigious vessels from the Mediterranean to the Caribbean reaches its peak. At one point, nineteen yachts were either alongside one of the berths at the new Mid Harbours Marina, the commercial harbour, a private marina or in the anchorage. The Minister for Maritime Affairs, the Honourable Gilbert Licudi QC added that he was 'delighted with the Port of Gibraltar gaining a higher profile across the superyacht community. With crew changes, re-provisioning, bunkering and the wide range of attractions available to these discerning visitors, it is good to see so many of these impressive looking vessels making use of the facilities on offer. The recent addition of over 500m of deep water berths at Mid Harbours has been instrumental in allowing the GPA to raise its game even further'.